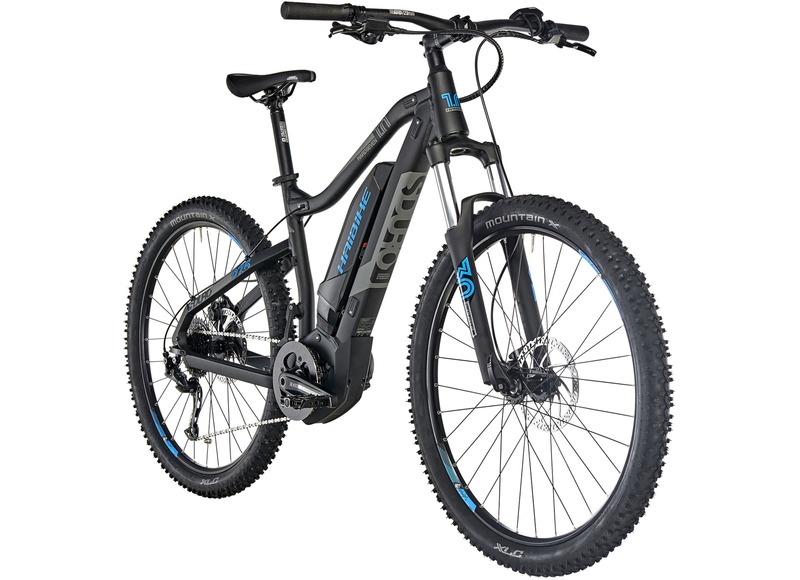 This competitively priced mountain bike is fully equipped for both road and trail and is an ideal entry-level e-bike for the more sporty and aggressive rider. Sleekly designed and capable of tackling a range of terrains, it comes with a long list of quality features as standard that are sure to give it broad appeal. 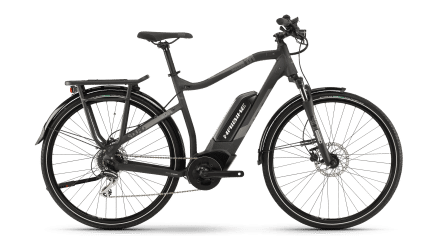 Both the entry-level rider and the more experienced e-bike enthusiast will find much of merit in this attractive and fully featured model. Versatile and visually appealing, the Haibike Sduro Hardseven 1.0 is guaranteed to impress! 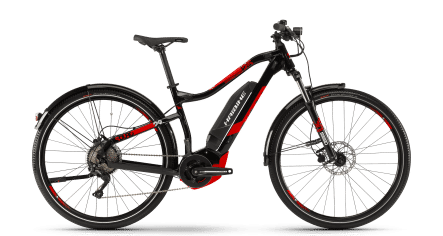 The proven powerful Yamaha PW-SE engine gives scope for speeds of us to 25km/h and, combined with the Yamaha Lithium-Ion 400 Wh battery makes for an exciting and seamless riding experience. The Yamaha quick charger 4A provides you with speedy recharging capability. 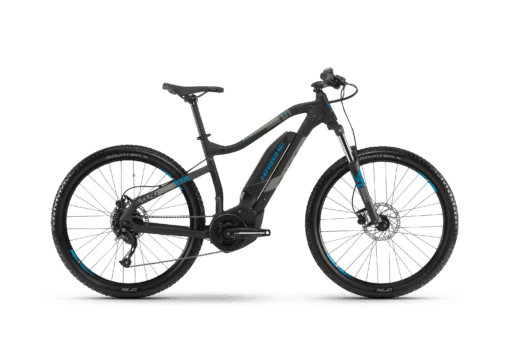 The 9-speed Shimano Altus M2000 gear system takes you from road to rougher terrain with absolute ease while the XLC MountainX tyres and 120mm travel SR Suntour fork ensure that each and every ride will be as smooth as possible. 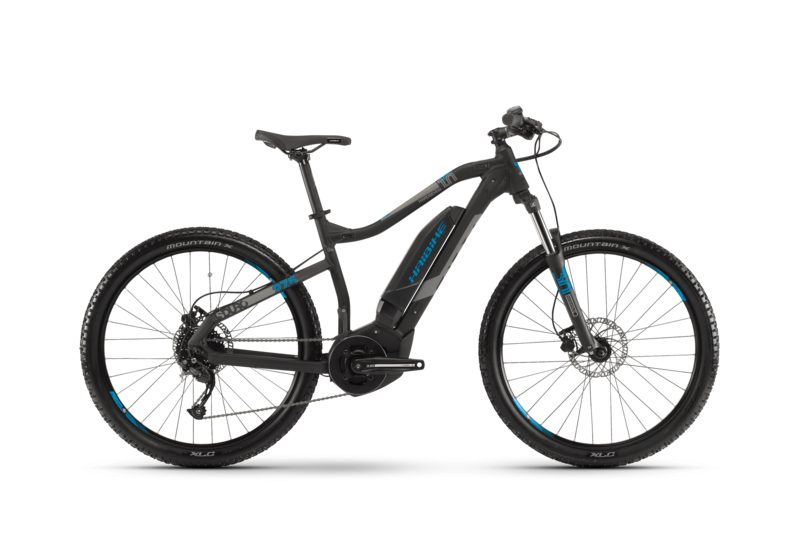 Tektro M275 hydraulic disc brakes provide outstanding stopping capability you can rely on. 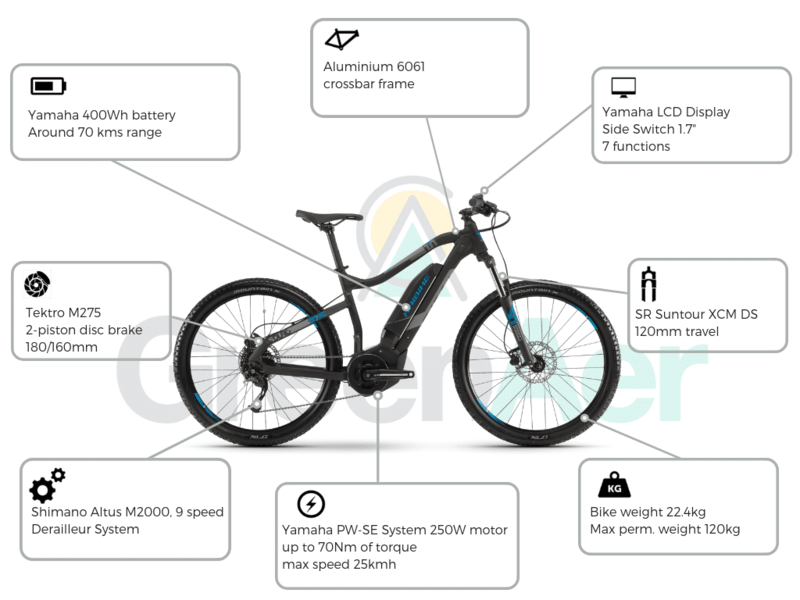 In short, this is a stunning and sleek fun machine which is ideally positioned to offer an entry into the exciting world of e-bikes at the right price. 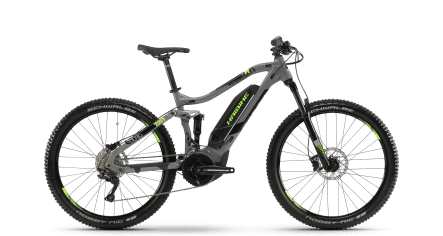 Weekend touring and cross country treks will never be the same once you begin to harness the power of the fantastic Haibike Sduro Hardseven 1.0.